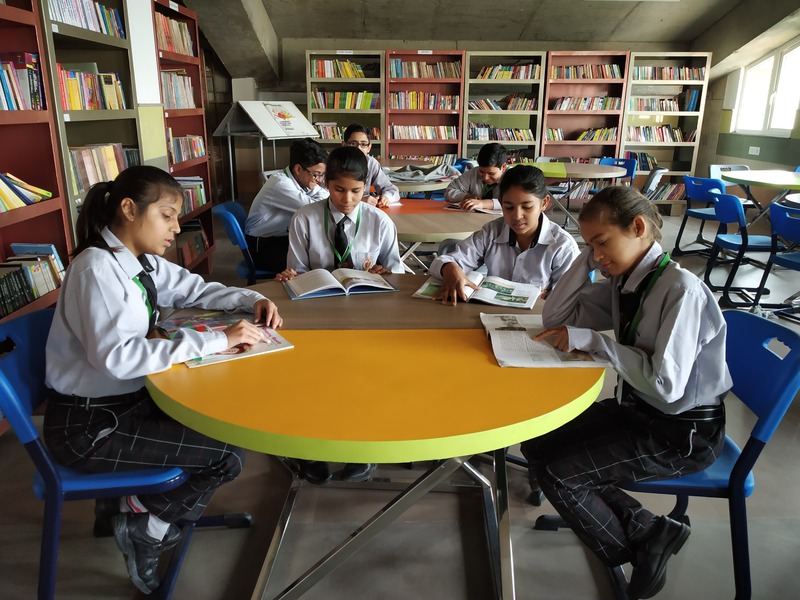 The school library is a temple of learning where knowledge is stored in hundreds and thousands of books, both printed and digital. Scores of newspapers and magazines are there to keep our learners abreast with the latest in the world. Of course not all books are meant for adding to their knowledge alone. Many are there just to provide pleasure and entertained and many more are there to make them better human beings. Then there are books that help them prepare for success in examinations. At present the library is sufficiently equipped with a wide variety of rare books, encyclopaedias, journals and reference material. It has a rich collection of more than 10000 standard books and 20 periodicals and online books. There are plenty of atlases, educational audio-video DVD’s on diverse subjects for in-depth studies. In addition, book fairs, author meets, storytelling events, creative writing and literary symposiums are held to promote love for literature, and reading for pleasure and knowledge.